40 Fun Indoor Activities for Kids of ALL AGES! Enjoying playtime with your kids can be a blast, especially if they are outdoors and you don’t have to “try” to keep them entertained. But, as we all know, playing outside isn’t ALWAYS an option, so having some fun indoor activities for kids is a must. I like to be able to search Google for something and have EXACTLY what I want to pop up in the search results. I mean that’s only natural, right? 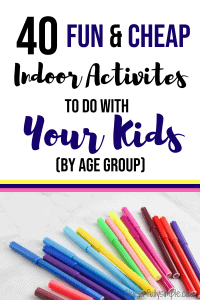 So recently, when I was searching for fun indoor activities for my kids, I needed a variety of types of activities because my kids aren’t all the same age. Obviously, this would have to be more than one search because of that. 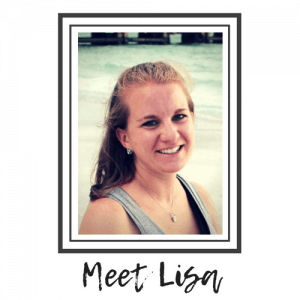 Instead, I sat down and started my own list for a variety of age groups and compiled them into one incredible list of things your kids can do indoors, no matter their age. Some can be done as a group, whether with friends or family, while others can be done independently, making this the ULTIMATE list of fun indoor activities your kids will LOVE. So, whether it be rainy, or hot, snowy, or cold, keep this list of easy fun activities for kids of all ages handy and your kids will never be bored. Ahh, yes, duck, duck goose. This one is a classic, but it can be fun for all ages, even the littlest kiddos. In case you aren’t familiar with duck, duck goose, all participants with the exception of one sit down making a circle. Then, the one person left goes around the circle, patting the heads of each person sitting in the circle, saying, “duck”, as they pat each person’s head. Then, they suddenly say “goose”, and the last person who’s head they pat jumps up and chases the patter around the circle racing to get back to the open seat. If they get back without being tagged, the new person standing becomes the patter. If they get tagged before getting back to the empty seat, they sit on the inside of the circle. This is sure to be a hit with your younger kids! Finger painting may create a bit of a mess, but the kids love it, and it will give you beautiful artwork for your refrigerator door. All you will need is some blank paper, likely white, and some finger paints. Often times you can pick them up at your local dollar store. You may also want to have a few craft smocks on-hand for crafts like finger painting, so your kids’ clothes stay clean. Hide and seek is another classic kids’ game that I still love! My kids are old enough to enjoy hide and seek, which makes me one happy momma! In case you aren’t familiar with hide and seek, I’ll quickly explain. You will need at least two people, but the more you have, the more fun the game is. All but one person finds a place to hide. The one person who is left behind then becomes the person who is going to go and seek out the people hiding. The last person to be found then becomes the next seeker. This game is sure to keep your kids busy for hours! I spy is a game that is great even if the weather is beautiful but is also great if stuck indoors or even in the car. The game is super simple to play. One person finds something around the area that they want other people to eventually discover. Then, once they have decided on something, the person says. “I spy with my little eye, something that is ___________” (give the color of the item you’ve spotted). Then, everyone playing the game looks around and begins to guess items around the area that are that color. The person who guesses correctly then gets to go next. I Spy is one of those fun activities for kids to do indoors for all ages, young and old. My kids LOVE to do crafts. There is always something new to create and I love that sense of creativity from kids. Especially when they are little, I always try to nurture that sense of creativity because as they get older, they tend to get lost in screen-time. I want their minds to always be creating, and crafting is a great outlet! I like to find simple crafts like this Paint by Sticker Book, at my local craft store, or Amazon. And, if they are things you think might get a bit messy, you will certainly want to snag one of these super cute craft smocks! If crafting isn’t an option, I’m sure you have something in the kitchen you can bake! Invite your kids to come to join the fun, and if there’s a mess, enjoy the experience anyway! Have you ever been sitting around with your kids, bored out of your mind, yet not feeling up to “creating” something to entertain your kids? My favorite thing to do is turn on the radio, find some awesome music, and dance it out! My kids LOVE to dance. It is great exercise and it is something that allows me to give my complete, undivided attention to my kids, which as a parent with numerous distractions, is an amazing thing to give my children. This is one of my favorite fun indoor activities for infants. Even babies love to wiggle around! 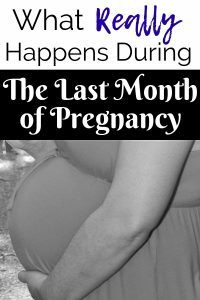 For this, you’re going to need a baby pool and some water, and…. Just kidding. I like to have fun, but not create a chaotic mess in the process, because who has the time to clean up the water messes indoors? If you have a baby pool, that would be ideal, but if not, that’s fine too. This takes a bit of crafting and planning ahead on your part, but once it’s done, you’re done. You will need a dowel rod, some string, and some magnets. Then, you will need some paper fish. All you will need to do is tie the string to the dowel rod and then tie the string to the magnet. Take the remaining magnets, and tape them to whatever type of sea creatures you wish to cut out of paper. Voila, indoor fishing for your kiddos! I put reading books in every section of this list. Go ahead, scroll through, and you’ll see. I wholeheartedly believe that reading as a young person is THE BEST thing we can be encouraging our kids to do. I started reading to my kids long before they even knew what a book was. Early literacy is one of the greatest ways to help your child begin to build their vocabulary. Start out with picture books at this age and just talk about the pictures and the colors. If there are things that make sounds, like animals, or machines, start teaching your kids those sounds as well. Back up in item #7, I had you cutting out fish and other sea creatures. 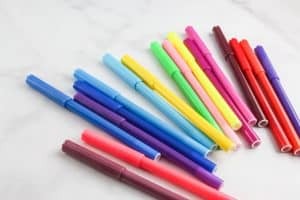 If you happen to have some left, all you’ll need for this activity is some glue and a variety of colors of tissue paper. Kids, especially this age, love to tear things. Often times, they love to tear things they shouldn’t. In this case, let them tear the tissue paper. They can even tear it into itty bitty pieces and that will be just fine. I love this craft because of how simple it is. All you do is take your shapes, put a thin layer of glue one, and then begin putting on the tissue paper. If you have older kids participating in this craft as well, they may want to create a pattern or a picture with the variety of colors, whereas the little ones will just enjoy putting the tissue on the paper. One of my most treasured items from my kids being super little is 1) their drawings as they’ve grown up, and 2) tracings of their hands and feet. I love to have things that show me how little they once were. It’s a moment of nostalgia for me. As for the activity itself, all you will need is some paper, and the finger paints we talked about before. You could also use crayons if you don’t want a mess to clean up. Help your kids by tracing their hands and feet onto paper. Then, let your kids color their drawings however they’d like. If you have kids who are super into art, here is an awesome list of art toys for kids! I would venture to say that you built forts as a kid yourself. And if not, pretend you are a kid again and join in here. For this activity, you will need some pillows, blankets and a creative mind. I always loved to build my fort around the kitchen table, or in between furniture. I always wanted to create a fort that would allow for the blankets to not be sitting on my head. Let your kids get creative and build to their heart’s content. This is one of the fun family activities to do indoors WITH your kids. And I would venture to say, you’ll need the password to get in. Simon says is one of those games that just about anyone can play. It is played in school and often played at camps as well. It teaches your kids how to listen carefully and follow instructions. In case you aren’t familiar with the game, here’s how you play. You have one person be Simon. Simon is the person who is responsible for calling out instructions. Sometimes Simon will give instructions by saying, “Simon says”, and other times not. When “Simon says” is spoken with an activity, all participants are expected to do that activity. If “Simon says” is not spoken, and someone follows the direction, then they are out of the game. The great thing about scavenger hunts is that they can be completed indoors or outside. I love doing scavenger hunts outside, but when the weather doesn’t cooperate, indoors we go. If you create a list of items ahead of time and have that list available, you have a fun activity for your kids to do without any thought. One great way to do this is to have pictures of items. This is especially important if your kids aren’t great readers. Give them the list of items and then have them bring the items to you as they go. The great part about telephone is that it is going to force you to put yours down. 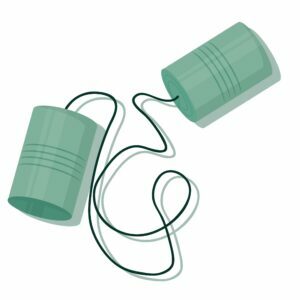 Telephone is a game that is played with a group of people. The larger the group, the more hilarious the game becomes. All participants sit down in a line. The first person in the line comes up with a sentence to share with the others. The sentence is whispered into the ear of the second person in line only ONE TIME. The second person then whispers to the third, and this continues until the sentence has been whispered to the last person in line. The last person when says the sentence out loud and 9 times out of 10, the sentence that is spoken is nowhere near what it was when the game originally started. There is nothing better than sitting down with a bucket of popcorn (or your favorite snack), a good movie, and your kids. There is something calming and good for the soul that comes from spending some quality quiet time with family. And with any luck, some will take a nap. It really makes me sad that board games have started to become a thing of the past. They have been replaced by video games. But, there is still room on your shelf for at least a few great board games. Chutes and Ladders, Hungry, Hungry Hippo, Candy Land, Memory, and the list could go on. All super fun games for kids of all ages. Baking teaches kids so many things. Measurement, precision, and patience to name a few. As I mentioned before, reading is one of THE BEST things you can be doing for your kids. Whether you are reading to them, or they are starting to read on their own, have some books in your house they will enjoy. Or, better yet, take them to the library and let them pick out some books to borrow for free! As long as your kids know their numbers, then paint by number is a nice, quiet activity your kids will be able to do by themselves. At this age, kids are starting to want to exercise their autonomy, and this is a great activity for that. The paint by number kits that I have used in the past usually come with everything you need, including the painting board, the paints, and the paintbrush. It is likely still a good idea to have a craft smock to keep your kids’ clothes clean. I mentioned baking cookies for a group in your community, but why not teach your kids to bake a pie. A lattice pie at that, maybe. 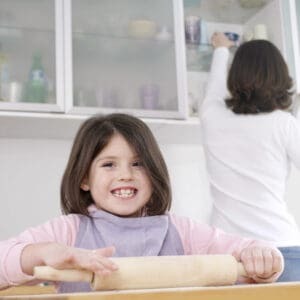 Baking can be stressful with kids, BUT if you tell yourself ahead of time that it’s likely going to be a bit of a mess, it may be easier to handle when the flour hits the floor. And, if you aren’t the best baker, all you really need is pre-made pie crust, and some pie filling. Your kids will think it’s great because it’s something new and they are getting to help, and you’ll think it’s great because you’ll have a yummy dessert to enjoy! For charades, all you need is a bag full of slips of papers with things written on them. You will want the papers to have things written on them that someone can read and then act out without using any words for a crowd of people guessing. If you have a large group of kids, separate into teams and make it a competition. Let one person from one team act, while the other team guesses, and then switch roles. 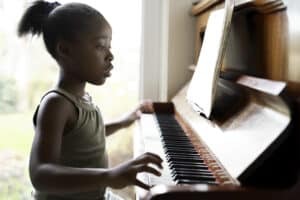 If your kiddo enjoys playing an instrument then some downtime inside is a great time for some practice! And, if they don’t already play an instrument, today could be a great day to head to your local music store or pawn shop to take a look around and see what is available. I mentioned this was going to be listed for every age group because I think reading is that important. Make a quick trip to the library or grab a few books at your local bookstore. If you have random objects or recycling laying around your house, then you have the makings of a robot. It is likely all you will need is a hot glue gun and glue sticks. Let your child use their creativity to create a robot from the items once headed for the trash! Solitaire is a great game for one person to play alone. But, if there is more than one person, there are other card games you can play as well. Speed, Rummy, Rummy 500, are just a few of the card games you can play with friends. A few other card games you might enjoy playing are Uno, Apples to Apples Jr. (with parental guidance), and Phase 10. So many of these activities require kids to think, and I love that! 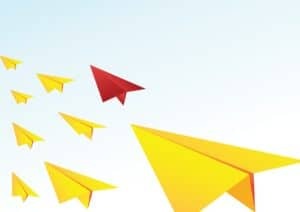 Paper airplane races are right up there on the creative juices list. Kids will need to use their best techniques to build airplanes they think will fly the furthest. This is the most fun if there are a group of people building and flying airplanes together. The person whose airplane flies the furthest wins! Encrypting messages requires incredible creativity. The most common encryption code often only requires the alphabet. A person starts to create their code by listing out the alphabet. Then, starting on a different letter, they begin listing the alphabet again, right below. For instance, if the second alphabet was started below the letter G, then G would become A on the encrypted message. H would become B, I would become C, and so on. This can be a lot of fun for two people to write notes back and forth. Don’t let anyone find your encryption code! There are some awesome puzzle books available for kids. 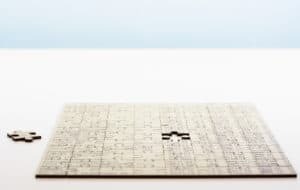 Some of the most popular are word finds, number finds, Sudoku, and crosswords. The great part is that you can often find puzzle books at the dollar store for really cheap, but they will provide your kids with hours of fun! I love sitting down with a yummy snack, a great movie, and my family. There really is nothing better. There are so many sites you can rent movies from, BUT did you know that most local libraries have movies you can borrow as well!? I love FREE things, and this is a super win for you! There is nothing better than a great brain teaser, except maybe an entire book of brain teasers! My friend Adriana, over at Educational Toy Factory, has created an AWESOME, and SUPER CHEAP book, called Brain Teasers for Kids, that I know your entire family will love. There are 43 puzzles (with solutions), that are sure to have your family putting on their thinking caps. One great way to play is to use a timer and see who can figure out the puzzle first! Did you know there is an electronic game called 20 Questions? Well, once upon a time there was. The crazy part is it can usually guess the object you are thinking of in way less than 20 Questions. In case you aren’t familiar with the game, 20 Questions is most often played with a small group of people. Each person comes up with a few questions to ask someone who has thought of an object. The questions continue to be fired (up to 20), until either the item is guessed correctly, or the crowd is stumped. As a teacher, I played this game with my students. It is an icebreaker type game that allowed my students to get to know a few things about me and vice versa. 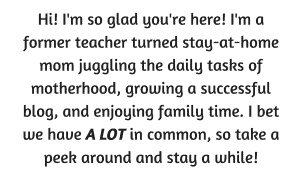 This can be a really fun game if you are getting to know a new group of kids, or if you want to know the kids better who your own children are hanging out with. Much like coloring, sitting down as a table with a cardboard puzzle can be super relaxing. I have worked MANY puzzles in my day and it is something that I have passed down to my own children. There are puzzles for all ages on Amazon, but here are a few that I thought were super cool! Legendary Landmarks Candy Wrappers Disney Pixar 5 n 1. I mentioned this is every section, but, I’ll say it again. Make sure your kids are reading! Get them to the bookstore or the library and help them find some book they will enjoy It will help them with their literacy and their language skills. The game of Sardines is SURE to bring some great laughter to your crowd. The premise is simple. It is played in the dark, usually inside at night. It is essentially hide and seek, except that only one person hides. Then, everyone goes to find that one person, in the dark. When you find the person hiding, you hide with them. The last person to join the pack is the next person to hide. Super fun game! You may be thinking I should’ve included a coloring book in one of the sections for younger kids, and I could’ve, but I did mean to put this in the teen section. There is something calming about coloring. And, clearly, there is a desire for this for older kids because companies have created coloring books geared towards older people. So grab one, and some colored pencils and enjoy some quiet time coloring. Hangman is a game that is great for all ages, but it becomes even more fun the older you get. I feel like teens come up with things that many others really wouldn’t think of which is what makes it more fun, and honestly, a bit challenging. All you need is a whiteboard, and a dry erase marker. Nothing better than a good movie and snack! Apples to Apples, Man Bites Dog, Sushi Go, and Anomia are great card games for teens. Each one is unique in what type of brain power you’ll need to play, so make sure to check out each one to determine which game or games are best for you and your crowd of friends! What are Your Kids’ Favorite Indoor Activites? I can only imagine that this list of activities has given you some great ideas for fun activities your kids will enjoy! With just a bit of planning and preparation, days spent inside will be just as fun as those spent outside. Enjoy! These are super! My son just turned 9 and the heat index here has been wild. These great ideas will have us busy indoors. Thanks so much! I can totally relate to the heat issue! 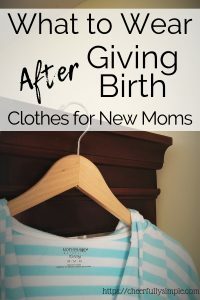 That is one of the main reasons I wrote this because I thought for sure there were other moms like me who were stuck inside with their kids. I am so glad you found some ideas for you and your kids! Love this list! Simple activities such as hide and seek or duck-duck-goose have been forgotten! Great job! It is crazy how the things we played as a kid seem to have gone away. I make sure that we still engage in those fun activities with our kids because play time is super important when they are young and moldable!